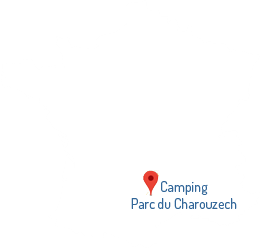 Parc du Charouzech, 4 stars campsite in Salles-Curan, Aveyron. 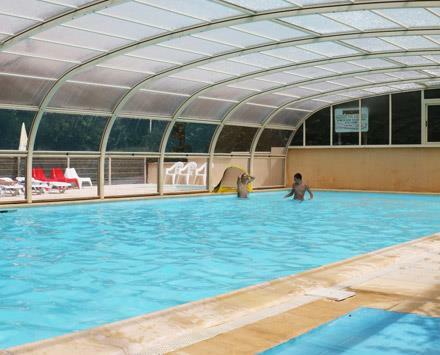 with covered and heated swimming pool. 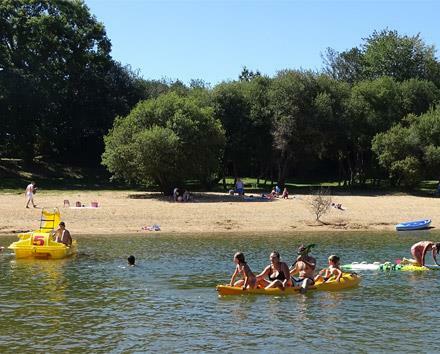 The 4 stars campsite Le Parc du Charouzech is ideally situated in the heart of Aveyron, established on a peninsula of the lake of Pareloup. In a wonderful setting of countryside, the authenticity and the charm of the campsite will assure you a calm and resting time, for relaxing holidays. You will enjoy the sea in the countryside and the beach in the Green Country. 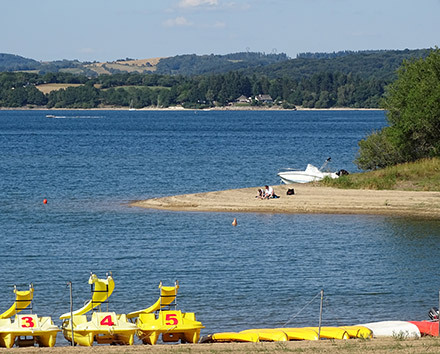 The lake of Pareloup is the paradise for fishing and practicing nautical sports. 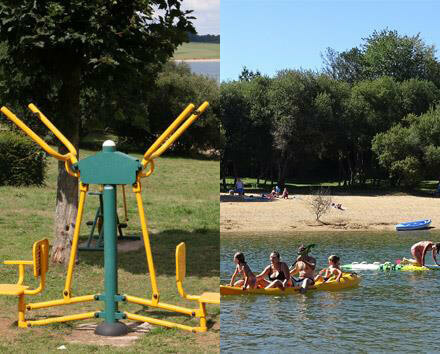 Campsite Parc du Charouzech : The best place for family friendly holidays in the middle of nature. Your children will be safe and free in our campsite . Your well-being is the most important for us, this is why we kept the natural setting of the nature. We also respect the environment. Have a well deversed relaxing stay in our clean campsite. The campsite offers service such as beach, boules game, hikes and most important some rest ! Have a detox stay in our campsite.